Most people have a past, but to some this past can include a run in with the authorities that resulted in formal charges. This history can affect you from obtaining a great job, a professional license, like an RN, or the ability to secure adequate housing. A criminal history is viewable by anyone at any time, including landlords and prospective employers. Whether it is for a DUI a speeding ticket or a disorderly conduct charge, they are all viewable to the general public. This means that anybody can go to the local courthouse and pull a history on you and find out what your past transgressions have been. If you have been charged or convicted of a crime, it can be difficult to get through life with a bad criminal history. Those who have criminal charges may find that they have many doors closed to them that normally wouldn’t be. If enough time has passed and or you have not had any repeat offends, then there may be something that can be done about this infarction of the past. Thankfully, some states have a way of sealing the crime, so that the general public cannot find such a record. While each state has their own regulations and will do things differently, all states have some laws regarding expungement. The words expunge and seal can often be used interchangeably, as they mean the same thing in the legal system. There are some slight variations between the two. First, to have a record sealed basically means it is just out of the view of the general public. If someone were to go to the courthouse and pull your history, this criminal item would not show up. However; should you get into trouble in the future or go before a judge, they will be able to view your criminal history including the crime that was hidden. To expunge the crime means to wipe it away. Those who are granted this type of action will have their crime wiped out. So basically they are the same thing, but in different states view the actions diversely. Many people think that an attorney is the only way to get a record sealed. Actually, you can do it yourself for a fraction of the cost. 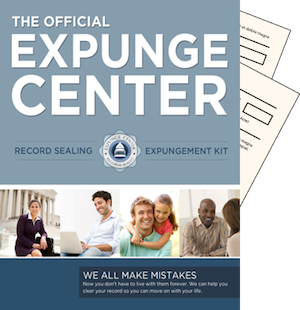 First to obtain a expunge record in North Dakota; you must head back to the county where the crime was committed, or the jurisdiction that handed down the charges. Each court will have certain fees, but in general the cost in the State of North Dakota is about $70 and these petitions must be filed in civil court. As a civil matter, these are not given top priority, so oftentimes those with a case pending will have to wait until the court system can work the cases in. Though they make take some time, they are worth the hassle. Using a packet that is pre-made for the state of North Dakota can not only be cost effective but also make the process easy. There is nothing worse than having a looming crime hanging over your head, but you don’t have to live with the shadows of the past.